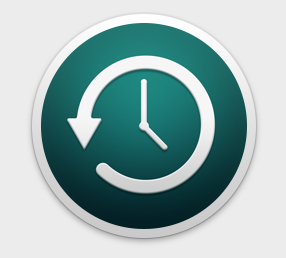 Time Machine is a backup software that is included in all of Apple’s macOS machines. This is specially designed to work with Apple’s Time Capsule. It is, however, compatible with any external storage (that is in a Mac filesystem format). When your Time Machine is connected to your Mac, managing it is a breeze. When you do this through Mac Aid, not only can we source your external drive but we can also deliver and install. Thus taking all the stress and worry of doing it yourself. I can do this myself, right? How many Macs do I need to connect to the Time Machine? How frequently do I need the backup to occur? What storage space do I need on the external drive? Save time by starting your quest to backup with one of our engineers. This way, you know exactly what you will get for your money and giving you the peace of mind knowing that it is right for you well into the future. The Wireless Backup. You can backup multiple Macs wirelessly and automatically. Great for keeping desks free from extra cords and allowing you and your team to focus on the more important tasks. Time Capsule is a versatile asset as it can be used for various other tasks. This includes being a Wi-Fi base station and being a wireless control tower for sharing your printer and hard drive. If on the other hand, you are wanting to purchase an external hard drive. They come in a variety of sizes, design, capacity, speed and connectivity. It is always best to check in with our engineers in order to find you the one that suits your needs.